This is terribly flawed advice for a couple of reasons. First, as speeches go, the “high point of the reception” is the person who actually puts in the time and care to give the best of themselves whether it’s the father of the bride, maid of honor, best man or some other speaker. Second, the notion that the best man’s ability to speak “should be one major deciding factor for the selection of the best man” is ridiculous. 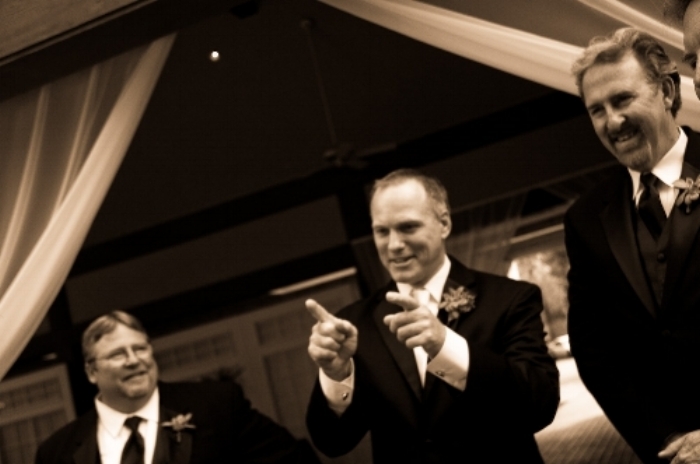 The groom’s relationship and feelings toward the best man should be the only deciding factor. People tend to underestimate the game-changing impact a funny, warm, ORIGINAL speech can have on the event. And the good news is that anyone can give an event game-changing speech when they have the right words, skills and confidence to knock it out of the park.